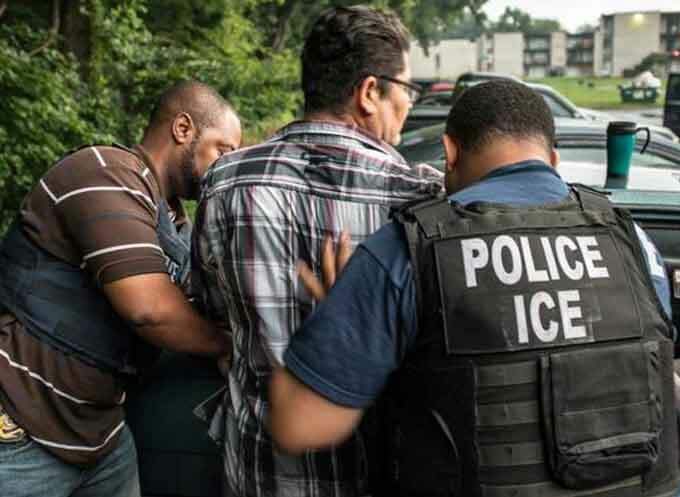 Rigoberto Calderon-Villeda, 26, a Honduran national, wanted in his native country for homicide, was removed on Thursday, by U.S. Immigration and Customs Enforcement (ICE), Enforcement and Removal Operations (ERO), and transferred to the custody of the Honduran National Police. Calderon-Villeda came into ICE custody July 30, 2018, after apprehension by U.S. Border Patrol officers. He was detained for illegal entry at that time, and placed into removal proceedings. On Aug.10, 2018, the Trial Court for the Judicial Section of Choluteca, Choluteca, Honduras, issued an arrest warrant against Calderon-Villeda for the offense of homicide. On Sept. 7, 2018, Honduran authorities notified ERO that Calderon-Villeda was subject to an outstanding arrest warrant for homicide, in connection with the beating death of a man. The victim was allegedly beaten to death by four individuals, including Calderon-Villeda. “Foreign fugitives attempting to avoid prosecution of violent crimes committed in their home country will not find sanctuary in the United States,” said Henry Lucero, field office director for ERO Phoenix. ERO works with the ICE Homeland Security Investigations (HSI) Office of International Operations, foreign consular offices in the United States, and Interpol to identify foreign fugitives illegally present in the United States. Members of the public who have information about foreign fugitives are urged to contact ICE by calling the ICE tip line at 1 (866) 347-2423 or internationally at 001-1802-872-6199. They can also file a tip online by completing ICE’s online tip form. The HRVWCC is comprised of ICE HSI’s Human Rights Violators and War Crimes Unit, ICE’s Human Rights Law Section, FBI’s International Human Rights Unit and the Human Rights and Special Prosecutions Section (HRSP) at the Department of Justice. Members of the public who have information about foreign nationals or naturalized U.S. citizens suspected of engaging in human rights abuses or war crimes are encouraged to call the ICE tip line at 1-866-DHS-2-ICE or to complete its online tip form; or the Justice Department’s Human Rights and Special Prosecutions Section (HRSP) at 1-202-616-2492.